We offer a fantastic Silent Disco Experience and because we actually own all of our own silent disco equipment, you can rest assured you are not only getting the very best system available on the market, but it is operated by one of the very best mobile DJs in Cornwall. 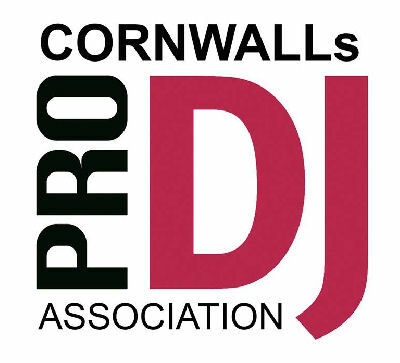 Unlike some of other so called DJs in Cornwall who claim they do Silent DIscos. 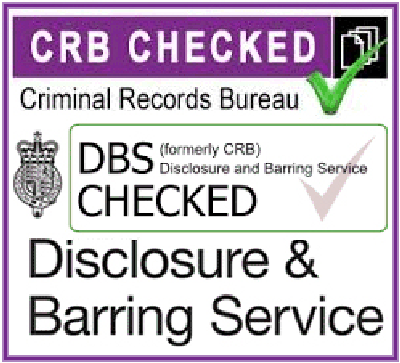 We are not relient on 3rd party sources, we don't hire them in for one off events and then pass the inflated costs on to you at a premium rate, we use our own very high quality and relieble equipment. SoundONE have always been the pioneers and leaders in Cornwall, we have always been ahead of the game while the others are playing catch up and simply trying to copy and mimic what we do. 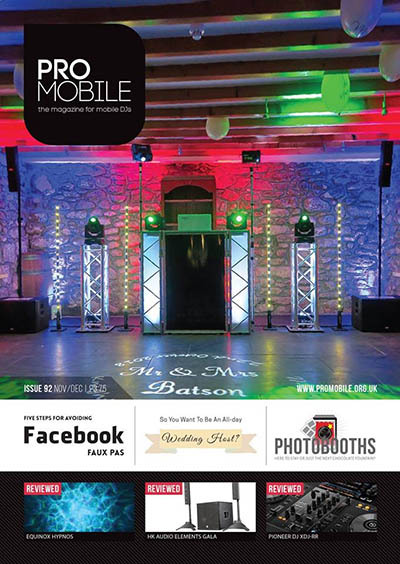 When it comes to mobile discos and being at the forefront with modern technology, not only do we have one of the best systems in Cornwall, we are the only professional full tiime mobile DJs in Cornwall who are able to offer a true Silent Disco. 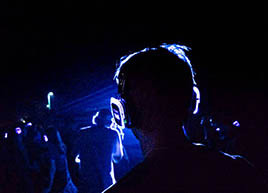 Our silent disco consists of up to 3 different music channels to choose from. You could be on channel one listening and dancing to the very lastest pop and chart tracks or you could be on channel two listening and dancing to your favorite motown, or even on channel three getting down to some rock classics. You also have the control of your own volume which we know many will appreciate. The headphones are iluminated and this will indicate what channel you are listening to, so you know in an instant, which other guests are also listening to the same music as yourself. Our meticulously skilled DJs will keep the music flowing on up to 3 channels for your dancing and listening pleasure. 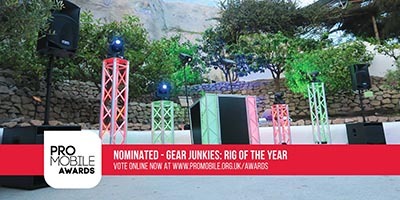 We could even do themed parties, and have up to 3 alternative styles at once such as hard dance, house and trance for example. Of course it doesnt have to be limited to just music, it could be used for conferences, language learning, dance classes and much, much more. 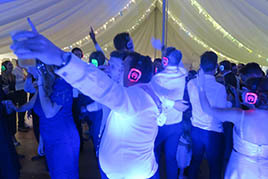 Our silent discos can also be mixed with other packages such as our UV neon glow parties, Video discos or Karaoke discos. 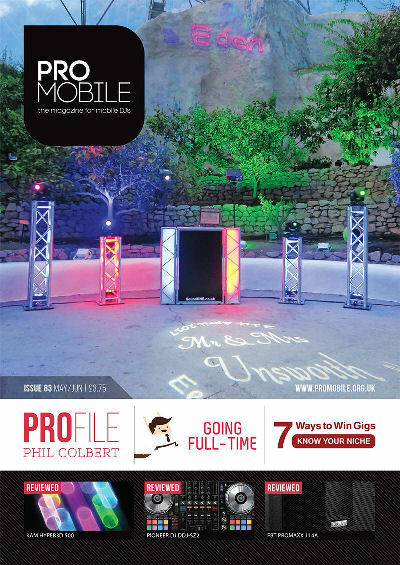 What party is best suited to the silent disco add-on, the answer to this is quite simply every party and even more so if you want the WOW factor. 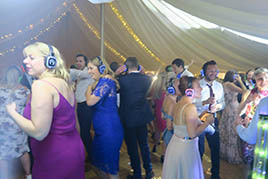 There are a number of venues in and around Cornwall with sound limiters and other restrictions, the silent disco is perfect for such venues as there is no amplified music. The silent disco isn't limited to just parties, it can be used by yoga classes, line and barn dances, salsa and other dance clases or even gyms and fitness. The possibilities are endless and it is idealy suited to where music and or voice instructions are needed and in envirements where a traditional P.A. system isn't the best solution. Our silent discos are perfect for the cool teenagers and college students and we can even mix and match it with our UV glow parties and laser lighting effects. SoundONE sets a new standard and brings discos into the future, no more living in the past. Our parties are enjoyable and fun. Here you can see an example of our silent disco in action, being use at a 16th birthday party. 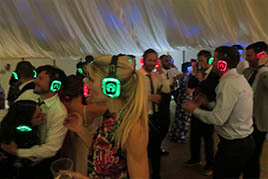 Here you can see an example of our silent disco in action, being use at the end of a wedding reception for the last hour.